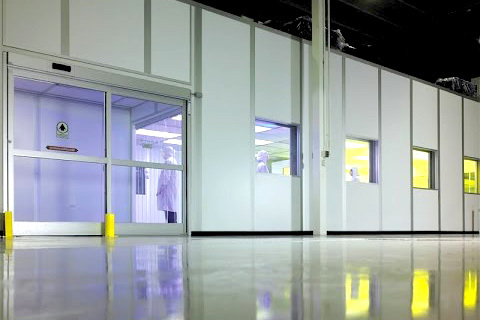 As our most popular cleanroom wall system, the CleanLine S3000 is ideal for creating environments that ensure product quality, increase yield, and impress current and potential customers. The 3" thick system is the perfect solution when a free-standing cleanroom envelope with a plenum cap is required and the design criteria do not allow the cleanroom to tie into an existing structure where the ceiling can be supported. The system's load-bearing roof provides support of mechanical equipment while its height capabilities of up to 18-feet tall make it the ideal choice for applications where extended ceiling heights are demanded due to tall equipment. 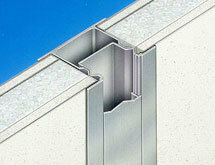 3" thick stud system has load-bearing capabilities.